High school graduation is one of the most special and celebrated milestones in the life of a young adult. For 33 years, the Greater Naples YMCA has been proud to be a part of the annual graduation tradition in Collier County by hosting Project Graduation once again this year. 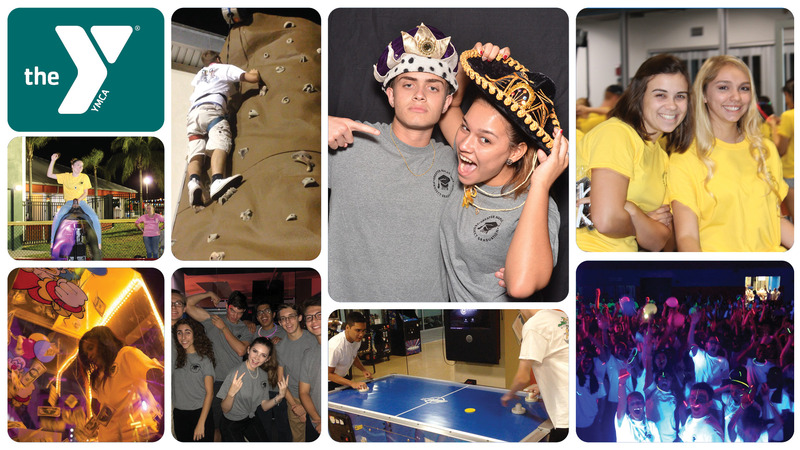 Our local Project Graduation is one of the longest-standing events of its kind in the entire country – a place where new graduates can enjoy a night of fun and celebration with their friends in a safe, drug- and alcohol-free environment. This event is a community legacy that was established on the foundation of safety, and it has certainly delivered: We are grateful to have achieved 33 consecutive graduation nights in Collier County without an alcohol or drug related death involving our graduating seniors. While the Greater Naples YMCA is pleased to host this event for graduates, it wouldn’t be possible without the significant efforts of the parents, schools, businesses and organizations that join together to provide the resources we need to make it a memorable evening for our special guests. Seniors, you’re invited to the 34th Annual Project Graduation! Get your tickets today for the biggest graduation party in town! Enjoy enjoy an all-you-can-eat buffet, Hypnotist show, Starbucks coffee house, karaoke, a mechanical bull, a photo booth, laser tag and more! Price: $20, includes t-shirt, all you can eat buffett and endless fun! For more information or to purchase your tickets, contact your school representative. Project Graduation is run by an incredible group of volunteers and supported by donations from throughout the Naples community. If you own or know of a business that would like to donate time or services to Project Graduation, please use the contact information below. Thank you for your interest in supporting Project Graduation! Your gift makes a difference! Please click on the donation button below to access our secure contributions page.